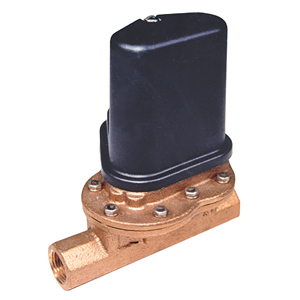 The FSW-30A flow switch is supplied with six orifices to provide 6 overlapping flow ranges from 0.12 to 8.0 GPM for water. The FSW-31 is supplied with 3 different drag discs to provide 3 overlapping ranges from 6 to 70 GPM for water. The orifices and drag discs can be changed while the switch is in-line, but not while operating. The FSW-32 operates over the range of 4-8 GPM for water. Max. Temperature/Pressure: 300 psig @ 82°C (180°F) max. Electrical Cable Fitting: Water resistant for cable diameter 0.250" ±0.025"
참고: Comes complete with six orifice inserts and operator's manual.